Hamilton, ON (March 5, 2018) – A study led by researchers at McMaster University has pinpointed a gene that is responsible for neurodevelopmental disorders, including autism. "Our studies reveal that in complex brain disorders that have a loss of many genes, a single deleted gene is sufficient to cause symptoms for the patients," said Karun Singh, study co-author and researcher with McMaster's Stem Cell and Cancer Research Institute. "This is exciting because it focuses our research effort on the individual gene, saving us time and money as it will speed up the development of targeted therapeutics to this gene alone." Many neurodevelopmental disorders are caused by large missing pieces of genetic material in a person's genome that contain several genes, termed a 'microdeletion'. Accurately diagnosing a gene microdeletion helps doctors to predict patient outcome and to determine if a new treatment is available. The researchers used genetically engineered models and computer algorithms to study a human genome, which allowed them to pinpoint the single gene in question. "Our next step is to screen candidate drugs that correct the cognitive brain deficits caused by genetic mutations in TAOK2, and identify candidates for pilot clinical trials," said Singh, who also holds the David Braley Chair in Human Stem Cell Research and is an assistant professor in biochemistry and biomedical sciences at McMaster. The paper complements a study (http://bit.ly/2DRZbSI) led by Singh on gene microdeletion published in American Journal of Human Genetics in early February. 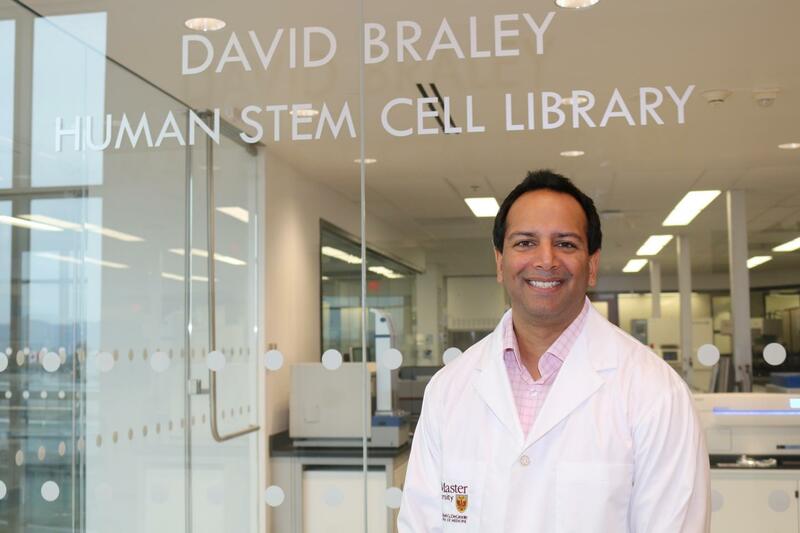 "The investment into the Braley Chair for Dr. Singh and his development of key collaborations is building in multiple directions beyond what we initially imagined," said Mick Bhatia, director of McMaster's Stem Cell and Cancer Research Institute. "The combination of patient specific genetics and stem cell technologies is likely to be transformative in the near term for brain disorders." The research was led by Singh in collaboration with Stephen Scherer from the Hospital for Sick Children. Additional researchers came from McMaster University, the Hospital for Sick Children, University of Toronto, the University Medical Center Hamburg-Eppendorf in Germany, Assiut University in Egypt and the University of Helsinki in Finland. Funding for the research was provided by Canadian Institutes of Health Research, Ontario Brain Institute, Autism Speaks, Brain and Behavioral Research Foundation and the Natural Science and Engineering Research Council.